SYDNEY (AP) — After losing their first six matches of the season, the Parramatta Eels have won back-to-back games while preventing the Wests Tigers from staying in the top four in the National Rugby League. 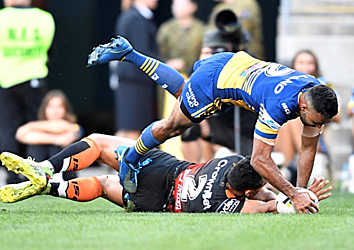 Second rower Manu Ma'u had a try and a try assist in the second half for the Eels after the lead had changed hands seven times Sunday in a 24-22 Parramatta win. 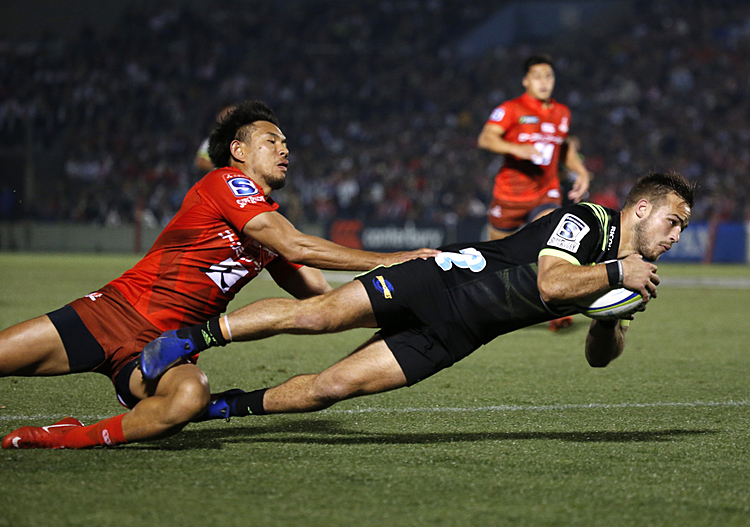 Parramatta was down by four points with 11 minutes to go when Ma'u scored off a Corey Norman pass to claim the match-winning try in front of 17,555 spectators. The result left Wests in fifth place, level on points with the fourth-place Melbourne Storm. In other matches, Cronulla edged the Gold Coast Titans 10-9 on halfback Chad Townsend's 79th-minute field goal. The Canberra Raiders snapped a nine-match losing streak in Townsville when Siliva Havili bulldozed his way over in the 73rd minute for an 18-8 win over North Queensland. It marked Canberra's first win over the Cowboys in Townsville since the 12th round in 2006. Melbourne knocked the New Zealand Warriors out of a tie for first place with a 50-10 win, while St. George Illawarra remained in the top spot with a 24-8 win over the Sydney Roosters. Brisbane beat South Sydney 24-20. Penrith moved into second place, level with the Warriors and two points behind the Dragons, after beating Canterbury 22-14. Newcastle defeated Manly 18-12.